We human beings are habitual by nature. The question is, are your morning habits supportive of your health, happiness, and growth or are they taking you in the opposite direction? If you begin your day with self-care, you will have a healthier, happier life. Self-care affects every facet of your life, including physical, emotional, and mental health. You need to have a bit time for yourself each day, starting with your mornings. Your day is pretty much formed by how you spend your first hour. Building a healthy self-care morning routine doesn't have to cost much or require you to get up in the middle of the night, but it will take some planning. If you tend to stress out shortly upon waking because there isn’t enough time to get everything done, then a little preparation is all you need. The following will provide you with a very simple, doable self-care morning routine. With a little experience, you'll soon know without a shadow of a doubt, that you feel so much better when you develop a supportive morning habit. What Makes for A Rough Morning? Having too many decisions to make first thing in the morning is a terrible way to start the day. So is waking up to a mess, or spending the first 45 minutes of your day running trying to find things or get organized. If you have small kids, it can feel like you're one cup of spilled juice from completely losing your marbles. So plan for calm the night before. The first thing you can do is reduce the number of decisions you have to make in the morning. Decide what you're going to wear and set your clothing out. From bra to bracelets. Encourage your family members to follow your lead and put together the things they'll need for the next day the night before. This may mean clothes, homework, or trade journals. If possible, put some of this stuff in the car the night before, so there's no risk of forgetting anything. This will allow you to start your day in a cool, calm and meaningful way. Keep reading to learn about developing a healthy self-care morning routine for YOU. It will not only make your day better, it will rub off on everyone around you. 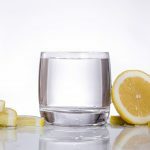 The very first thing you want to do in the morning is to drink a large glass of water. If you want to supercharge it, squeeze a half lemon in. Drinking water before breakfast will flush your digestive tract and help eliminate toxins and waste your body doesn't need. Also, water will rehydrate you and boost your energy and metabolism before breakfast. Putting paper to pen in the morning is a powerful way to start your day. It changes up how thoughts move through your brain and how much information you keep. By putting pen to paper, you allow your ideas to flow in new and creative ways. With a small investment, you can treat yourself to a beautiful notebook and matching pen that will become a precious place to record your dreams. 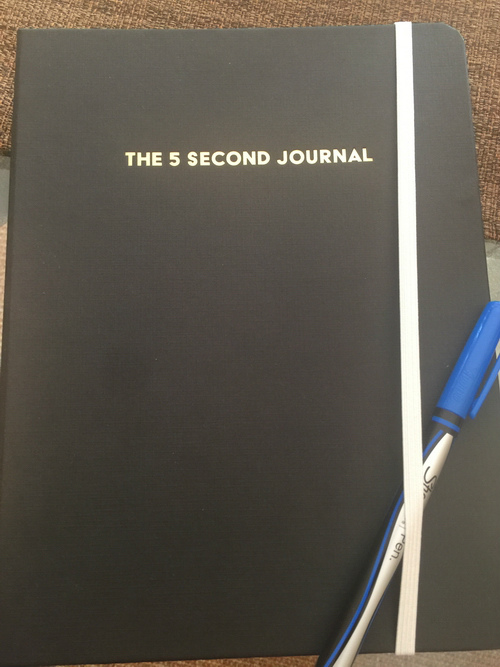 I use the 5-Second Journal, which has become the fastest way for me to focus and get stuff done! But there are so many beautiful journals available to you. Find what resonates with you and do it every single morning. Soon you'll notice that problems that follow you to bed become solutions in the morning. Make sure you have a lamp that gives you enough light to write and read by. I always light my favorite candle and pull a chair near the window so I can see the morning sky opening to new possibilities. But, whether you're still looking at stars or the sunrise, the sense of solitude you'll feel will give you great comfort. 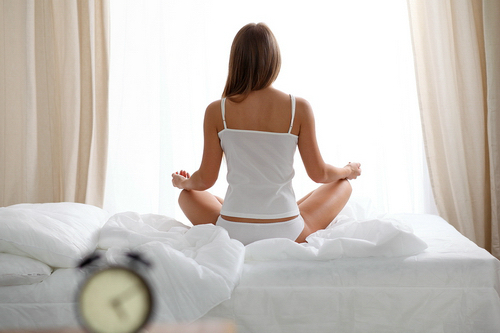 Many people find meditation more natural first thing in the morning. Yoga and Ayurvedic teachings state early morning is the best time to be in a meditative zone. The angle of the sun at this time of day offers the optimal environment for clarity. There's no need for your meditation to take a lot of time. 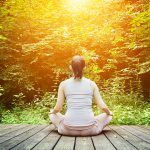 Awhile back I wrote about Zen12 for people (like me) who are short on time, have excessive mental chatter but want the benefits of meditation. Zen12 utilizes brainwave entrainment to give you an hours worth of meditation benefits in just 12 minutes. Two years later and I still use it every day because it works. If morning meditation doesn't work for you, consider a visualization exercise where you can express thanks for all the things in your life. Rather than waking up and thinking, “I didn't get enough sleep,” try being thankful for your soft mattress or your comfy sheets. Starting your day in gratitude rather than in lack is a great way to get your energy moving forward. If early morning is the only time you have to exercise, make it easy on yourself. 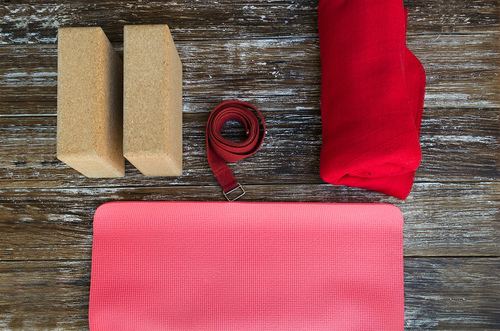 If you practice yoga, get your stuff ready the night before, so you don't have to stress about it in the morning. If you practice at home, set your mat, blocks, and blanket where you plant to practice in the morning. If you go out early to walk, hike or go to the gym or a class, the same thing… make sure to set out your workout clothes the night before; if possible, put them in the bathroom. You can dress quickly and be on your way to a great workout without any hard decisions. Maintaining positive thoughts during your workout is easy if you start gently and incorporate a cool-down. Walk a couple of laps on the track, grateful for the facility and the people at the counter, smiling and handing you a towel. Be thankful for your body and that you can move it through space. If possible, spend part of your workout in the water; time in the water can reduce the pressure on your joints. Do not pick up your phone during your self-care time unless you want it to hijack your morning. Do not check your emails, turn on any media of any sort or pick up a newspaper. 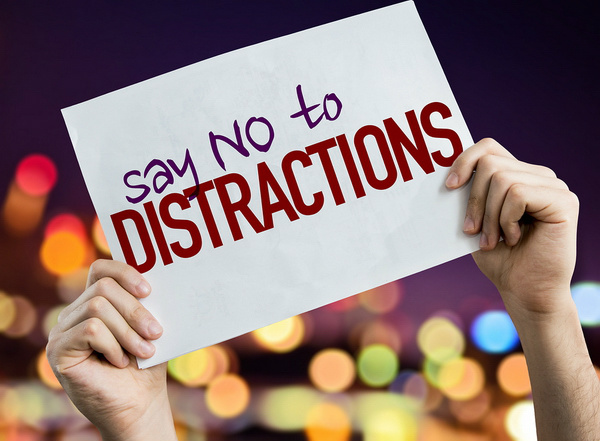 Avoid earbuds, radio programs, or conversation. This is your quiet and alone time. Your goal is to get a handle on your thoughts, build a gratitude habit and make yourself aware of how calm and confident you and your brain can be if you work at it. If you want to start your day full of energy with a clear mind, you'll need to eat breakfast. What you may not know is that until 10 am your digestive ability is quite low. In other words, it's not easy to digest a big breakfast. The main point of breakfast is just to eat enough to get you to lunch. I recommend oatmeal, cream of rice or farina… And don't forget to use spices. If you like a savory breakfast, you can add vegetables like carrots and peas spiced with cumin, ginger, and turmeric. If you prefer a sweeter version, skip the vegetables and add a sliced apple with cinnamon, cardamom, and ginger. Or you can top with a sliced banana. 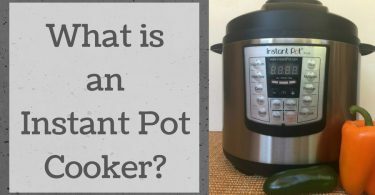 You can make ahead in a slow cooker or instant pot cooker before you go to bed. 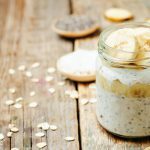 This sort of breakfast will give your body the fuel it needs, without overwhelming it. Another balancing breakfast may consist of stewed spiced apples, pears, and dates stirred into hot cereal. Again, you can easily make this in a slow cooker or instant pot. If you're a chai tea or coffee drinker, consider preparing it before you go to bed, so all you have to do is hit the power switch. To make your self-care morning routine stick, the key is to stay connected to the reason that you're doing it so that you can maintain the motivation to stick with it. Are you trying to break the snooze habit? Working to eat better? Trying to get your brain working better? Less stress? More productivity? Right now, one of these is likely your motivating force. Eventually, you will draw motivation from feeling so much better when you are doing these things than when you're not. Besides planning your day for maximum productivity, be sure to set a quitting time. The book The Five Second Rule by Mel Robbins encourages a terrific balance. Yes, focus on what you want. Yes, determine the next step in getting there. Yes, turn off the laptop and stop working when you promised yourself you would. For those working toward healthier dietary choices, treat yourself. No, you probably shouldn't have a donut. But, a cup of your favorite tea will boost your spirit, warm you up and remind you of the health you're working for. To keep your brain moving straight ahead once you've woken, journaled, meditated and exercised, study Getting Things Done by David Allen. This brilliant book keeps us mindful of the difference between a task and a project. If “finish your taxes” is your goal, it will be hard to stop because you don't have the steps in place. “Gather all your W-2s” is a much better goal, and it will lead to the next step. 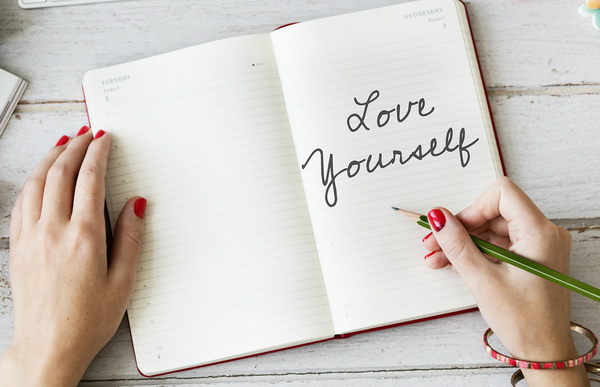 If you are a busy person, the idea of getting up earlier for self-care or self-love may seem silly and maybe even a waste of time; If I truly loved myself, I'd let myself sleep right? But a self-care morning routine puts you first. It helps you prepare your mind for the messy junk that gets in the way of accomplishing what you need to get done. Meditation and self-care will not stop the irritants of life; this is not about creating any form of Nirvana. What a steady habit of self-care will change is just you. Your ability to handle stress, to solve problems and to see problems as detours instead of roadblocks. Will irritations keep showing up in life? Absolutely. Will horrible crap happen to you and the people you love? Sadly, yes. However, you will have built a brain path to a quiet, cozy space where you can focus on the people and things you love. The calm that lives in your self-care morning routine is accessible any time of the day or night; all you have to do is reach inside and bathe in it. That is, once you build the routine. Keep working on your morning routine, tweaking it as needed. 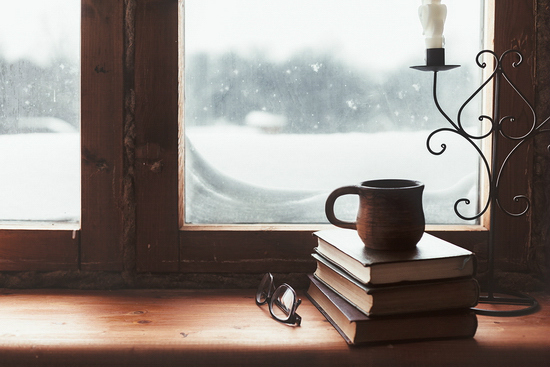 Get a journal, change the time of your alarm, and start your morning off right. I've kept these suggestions short and simple so not to overwhelm you. 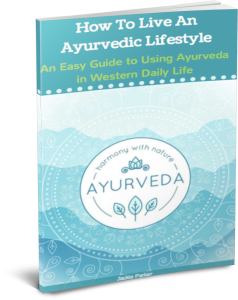 But, if you would like the full Ayurvedic lifestyle routines, make sure you get it before you leave. Just scroll back up the article. You'll find it in there. The Guide prescribes the daily and seasonal routines and regimes as per your unique body/mind type to attain and maintain good health and live longer without the need for prescription drugs. You can't buy it and there's only one way to get it – by subscribing. Thanks for such an encouraging article. It is important to start our day well so that we can be fully focused on our task for the remaining day. You have provided great tips on self care morning routine and I have actually been drinking a glass of water every morning when I wake up. I will now add in half a lemon as what you have recommended to help my body to detox. I will also try the idea on updating the journal every morning. Looking forward to more health care tips from you, thanks!